One of the biggest mistakes people make after removing traditional metal braces and Invisalign, is not regularly wearing their retainer. It’s understandable considering your smile has been constrained for so long with orthodontic devices you want to free your teeth. Unfortunately, this just isn’t an option. 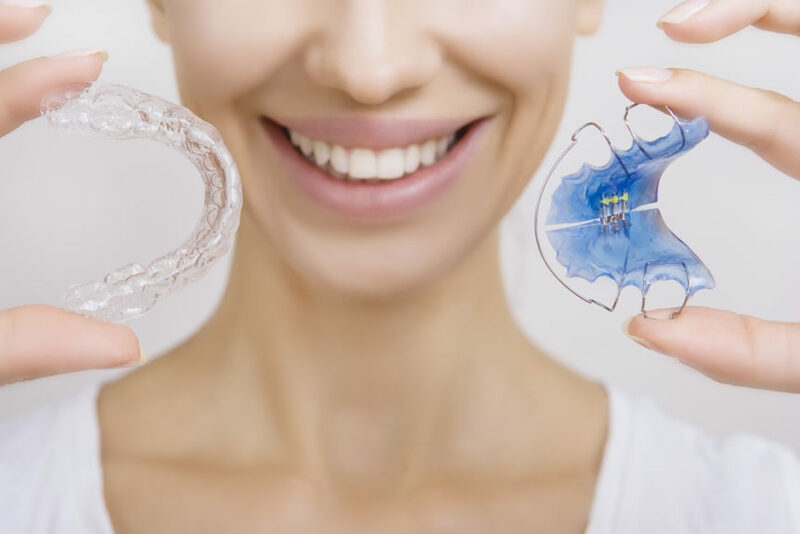 If you want the results of your Invisalign braces to last, you have to wear your retainer after your Invisalign treatment and trays are completed. Your retainer is a device custom-made for your newly aligned teeth for use after the duration of your braces or Invisalign is finished. It is created with the intent of keeping your teeth in their newly aligned position and not allowing them to drift back to the position they were in prior to your orthodontic treatment. There are two different forms of retainers, fixed and removable. Fixed retainers usually consist of a small metal wire aligned along the back of your teeth (the inside of your mouth where it cannot be seen) and stays in place permanently to keep your teeth aligned. A removable retainer comes in different forms as well. The options are that of a metal-wire retainer and a clear retainer, which is very similar to your Invisalign mouth pieces. The most important characteristic of a retainer, other than its custom-fit, is its durability to ensure it lasts for a while and doesn’t crack or break. You can speak to your neighborhood Invisalign dentist to discuss the best option for you in terms of the type of retainer you should choose. The retention phase is the direct phase that follows the active phase. The active phase is where you are actively wearing your Invisalign aligners, the retention phase is straight after when your teeth are very vulnerable to movement as the tissues and bones are temporarily softened from the duration of your treatment. This is one of the reasons why it is so important to wear your retainer regularly straight after your treatment to avoid the movement of your teeth back to their former position. Although it isn’t guaranteed the teeth will go directly back to their original position, it’s likely they will shift somewhat significantly. Your dentist will be able to better advise you as to how long and how often you should wear your retainer. It is commonly recommended that 3 months after your treatment you should wear your retainer all day and night. Like your Invisalign aligners, you can take the retainer out when you eat or drink. After the 3 months you will be able to lessen the hours you have your retainer into either about half the day and all night or possibly less. In 6 months, you will likely be able to switch to only wearing your retainer just at night. Again, follow the instruction of your dental professional as some patients need to wear their retainer full time for up to a year. Keep in mind a retainer is a permanent commitment. You will need to wear it and take care of it for life or your teeth will likely shift and may require braces a second-time. If you go an extended period of time without wearing your retainer, you will most likely notice it feels quite tight or snug when you again place it on your teeth. This tightness or snugness is a sign that your teeth have gone through a shift. At this point it is vital you correct your teeth’s shift immediately. This may even mean wearing your retainer full-time again until they feel like they have moved back until place. Regular care and maintenance of your teeth is extremely important. This doesn’t only mean daily oral care such as brushing or wearing your retainer regularly, but also regularly visiting your dentist for a check-up and cleaning. Come see us at Cosmetic and Family Dentistry for a top-of-the-line dental experience for you and the whole family. If you have any questions or would like to schedule an appointment with one of our caring dental experts, contact us today.